Andhra University Distance Education 2019: Distance Education is the latest trend in the market today giving you the independence of continuing with your current job even while studying. The world is moving at a very fast pace, and you sure cannot afford to lose any time in pursuing your higher studies, while other co-mates are working, and earning fortunes. The side by side duo of degree and job experience is the key that will help to reach new heights in the company. In this article, we'll try to tell you about Andhra University Distance Education courses & Admission procedure for 2019. 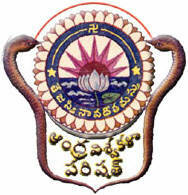 Andhra University was set up about forty-one years back in 1972 as a pioneer to offer quality based higher education. It is one of the oldest established universities in India and has been ranked as an ‘A’ grade university by NACC in academic excellence. Andhra University offers various distance education courses including various certification courses, diploma courses, graduate courses, postgraduate courses & professional courses. We've tried to give you a brief about these courses offered by Andhra University Distance Education. Below we've mentioned the eligibility criteria for some of the courses offered by Andhra University Distance Education. For detail information, we recommend our readers to visit Andhra University distance education website. Candidates who have passed Intermediate or equivalent or B.A. / B.Com are eligible. Entrance Examination conducted by SDE or other Universities under the open system to generate merit. Consumer Education: Passed Intermediate or equivalent or B.A. / B.Com. Entrance Examination conducted by SDE or other Universities under the open system for merit list. Music: Candidate must have completed at least 15 years of age by 1st July of the year of admission. Management: Any Bachelor’s degree from any field. Cooperation and Rural Studies: In-service candidates who are working in cooperatives and allied institutions including non-officials with any Bachelor’s Degree except BFA and BA OL. Functional English, Travel and Tourism Management, Management of Voluntary Organizations, Environmental Sciences: Any Bachelor’s degree from any field. Translation: Any Degree with mother tongue Telugu either as mother tongue, or a subject of study. B.A. : Intermediate / PUC / equivalent or 2-year I.T.I. of AP after passing SSc or B.A. / B.Com. Entrance Examination to be conducted by this School. B. Sc. : With the addition of Mathematics, Physics, Chemistry, Statistics and Computers. Intermediate / PUC / Equivalent with Physical Sciences and Mathematics as subjects. MA Hindi: BA or B.Com or B.Sc. with Hindi as one of the compulsory subjects or Sahitya Ratna with POL. MA Telugu: BA or B.Com or BSc or BA (Special) with Telugu as compulsory Subject of study or B.Sc. (Home Sciences) with a maximum of 100 marks in each paper. Executive M.B.A.: In addition to eligibility criteria for 3-year MBA, the candidate must have a 2 year in service experience after graduation. MHRM/ Master of Journalism and Mass Communication: Any Graduate from any field. We've taken great care in providing correct information about Andhra University Distance Education Courses & Admission but we highly recommend our blog readers to verify the information from Andhra University official website before making any decision. MBA Frog team will not be responsible for any kind of loss happen because of the information mentioned above.